Thunderkick is yet another example of the “New Wave” group of online slots companies that got started in Sweden in the early 2010s. Thunderkick and its contemporaries focus on quality over quantity and a unique game experience that’s only possible thanks to the latest technology. You could make the argument that Thunderkick’s games are the most experimental of the group and they’ve created games that are truly one-of-a-kind! Thunderkick was on of the first company’s to utilize video game pixel art in its wildly popular Roasty McFry and Flame Busters. Flame Busters is not the only game that’s been a huge innovator for Thunderkick, as the company makes games that sometimes feel more like art than gaming software. Many of Thunderkick’s games forgo all the glitz and glam of traditional slot machines for a more streamlined look that is — dare we say — relaxing. Thunderkick’s products are simply on another level compared to most competitors, which makes sense considering the company doesn’t offer any other products such as table games or live casino. The games on Thunderkick should be of particular interest to anyone that likes to play on mobile devices as the company has adapted a browser-only approach so that play is available across platforms. Thunderkick games have quickly become amongst the most highly sought after by both online casinos and players. Thunderstruck was at the forefront of the transition away from clunky download-only software to the newer and more seamless browser-based HTML5 technology. The HTML5 tech built into Thunderkick’s browser-only slots means that players have access to incredibly vibrant and reliable games across a variety of devices including Windows-based PCs, Apple computers running MacOS as well as iPhones and iPads on iOS and most Android devices. The underlying technology behind Thunderkick’s games allows the company to create visually stunning games with very little clutter or borders. It might not sound like much, but Thunderkick’s approach for creating slots creates a much more immersive experience than traditional slots. Graphics, game mechanics and audio quality are first rate. The company also offers a level of configurability that’s not always found on the common slot with players able to adjust everything from the speed of games to the sound effects. Players can also take advantage of the ability to play up to 5,000 spins on auto-play, which is a nice perk. Thunderkick slots also load very quickly and are rock-solid reliable compared to the old-flash based browser games that had a bad habit of crashing frequently. You don’t have to be a slots fanatic to enjoy Thunderkick’s incredibly high-quality slots. In fact, it’s easy to get a taste of Thunderkick’s work because all of its games are available free-to-play for all on their site. It’s a smart play by Thunderkick because everyone who plays its games, especially old-school casino players, will be shocked by just how far slots have come over the last five years. We highly recommend checking them out because Thunderkick’s games have to be played to be truly experienced! Thunderkick is focused exclusively on slots so you won’t find any table games, sports betting or bingo on the platform. Instead, Thunderkick is laser-focused on slots with 20+ high-quality slots. The company actually offers less slots than some of the other gaming giants but every Thunderkick slot is clearly designed with an attention to detail that’s not commonly found in the online gaming world. One thing that you won’t find on Thunderkick at the moment is any of the big progressive jackpot slots that many of its competitors offer. That’s something that might change in the future but for the time being Thunderkick appears focused on producing the highest quality slots with minimal bells and whistles. It takes a bit of adjusting for players who are used to having a lot of choice, but fortunately you can always play on a large casino that offers a large number of additional software suppliers if you’re looking for a full-fledged casino experience. Thunderkick slots are a wonder to behold! It’s something that you’ll hear time and time again when it comes to anyone reviewing the company’s portfolio but it bears repeating that Thunderkick’s slots are simply beautiful. 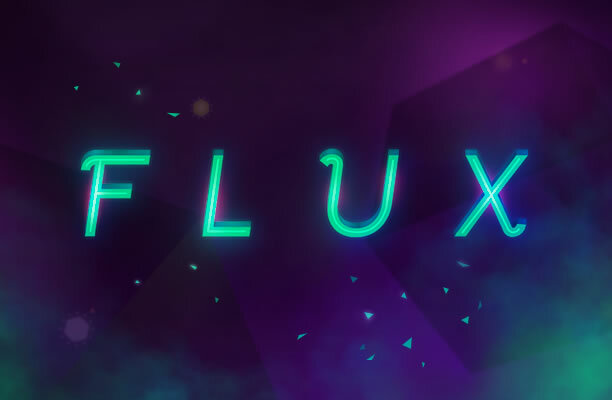 It sounds funny referring to a slot as beautiful but that’s the only word that really works to describe the vibrant, thematic and artistic games that the company produces. Since opening its doors in 2012, Thunderkick has only created 20+ slots but every game seems like a show-stopping affair. There’s a good chance you’ve heard of some of their games as Bird on a Wire, Esqueleto Explosivo, 1429 Uncharted Seas and Well of Wonders as each one has garnered considerable acclaim from industry publications! 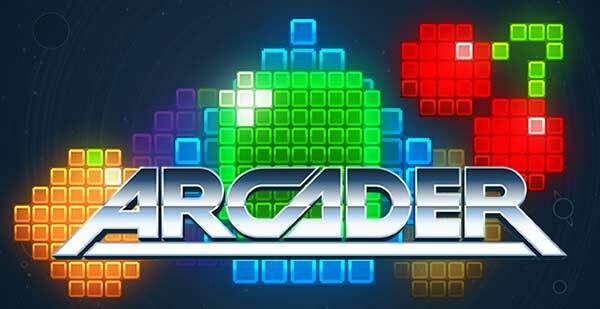 We especially like Thunderkick’s arcade-style games such as Flux, Arcader, Spectra and Flame Busters. Anyone that grew up in the 80s and plunked plenty of coins in arcade will be right at home on Thunderkick. Thunderkick works solely with slot games and therefore there are no table games in development at this time. Live casinos are a rapidly growing segment in the online gaming industry but Thunderkick doesn’t offer anything in this particular niche. Thunderkick only offers slots but it’s worth mentioning that all of its games are free-to-try so you could make the argument the company does offer social gaming. Thunderkick was a part of the online slots revolution that occurred mostly in Sweden around 2010. It was during that time that online slots developers realized there was space in the industry for a different kind of slot that focused more on quality rather quantity. Thunderkick approached slots like a boutique video game developer with high-quality art direction and slick graphics – and it’s evident! The company has since received certification in multiple jurisdictions across the world with gaming licenses from both the Malta Gambling Commission and the UK Gambling Commission. As an independent gaming supplier, Thunderkick still has an office in Sweden but it’s also expanded to Malta. Thunderkick is also a Remote Gaming Server (RGS) with its Malta and Stockholm offices. Every aspect of game development is done in-house at Thunderkick so games have a unique look that you won’t find anywhere else. Fun is the name of game. The company’s simple slogan is “We are Thunderkick, and we make games” and in our opinion, it truly lives up to that statement! From the moment you play your first Thunderkick it’s clear the company has a very different approach to online gaming! Its games are incredibly fun and look so good that it’s easy to play them for hours. It’s always exciting to see what Thunderkick is working on because the company is somewhat of a trendsetter for the entire industry. Thunderkick isn’t near as big as some of the major players in the industry but it’s relative small size has allowed it to take some risks and innovate where computers have stagnated. It’s always a large spectacle whenever Thunderkick releases a new game and even old-school slots player take notice! Thunderkick isn’t the only company making huge strides in the slots business but its games have a certain indefinable quality that keeps drawing you back for more.